Author of the acclaimed Beginners Guide to Mediumship, Larry Dreller digs deeper into the role of mediums and the meaning of mediumship in our complex, rational, increasingly scientifically sophisticated world. Mediumship necessarily revolves around the, to some scary, but inevitable fact of death. In a broad sense, a medium is simply one who communicates with the spirits of the departed. There is ample evidence of life after death, the continuation of the soul, and other forms of life we don't understand. Yet modern science and technology have yet to explain (or explain away) that evidence. In Secrets of a Medium, which is an advanced guide to mediumship, Dreller explores death, the afterlife, and those realms beyond the mortal world in a readable, sensible manner, unclouded by vague jargon or dogmatic faith. 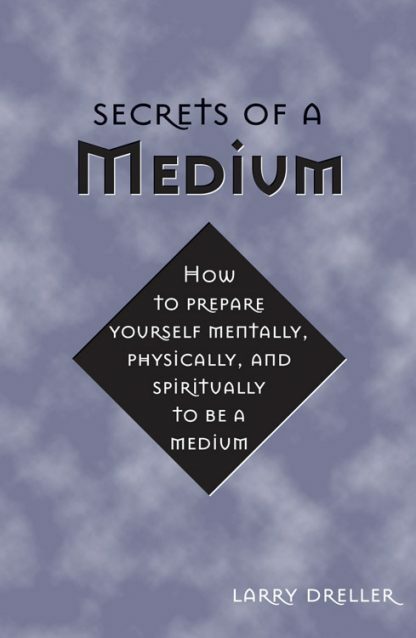 He explains the range of psychic abilities and characteristics of mediums--the difference between psychics and channelers, the mental and physical abilities of mediums, what mediums believe, and typical settings for the work of a medium. On a practical side, he lists what is needed for a seance and other works, and how to prepare oneself mentally, physically, and spiritually for the work of a medium. He goes into some depth about what to expect when contact is made with the other side. More than just a guide to mediumship as a practice, Dreller provides a guide to life for the aspiring medium. A glossary of paranormal terms, an extensive bibliography, and a guide to the paranormal and mediumship in popular media make this an invaluable reference to aspiring and practicing mediums.